Let's start with the curb appeal...wow! 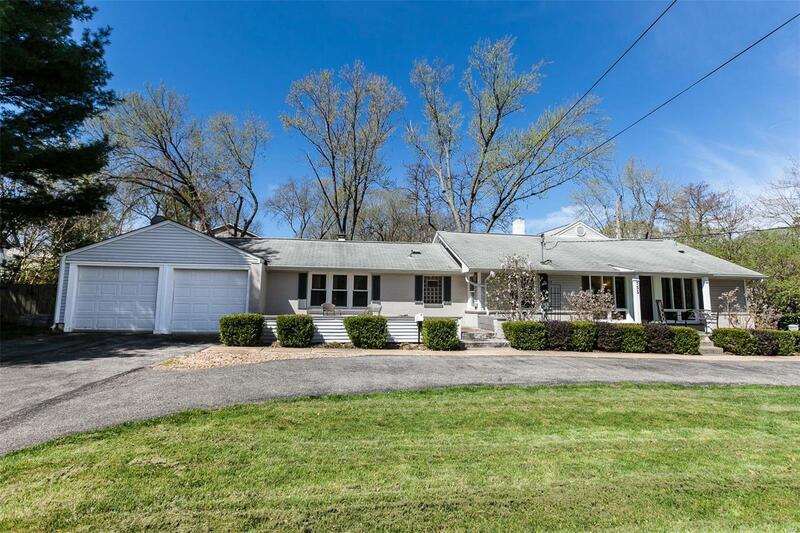 Don't miss this sprawling Kirkwood ranch. Pull into the sweeping circle drive and step inside to experience what is so lovable about easy, single-level living. Large, light-filled entry foyer with built-ins to accommodate anything you need to stow and an adjacent office, flows into the spacious dining room which opens to the kitchen, great room, and hallway to the bedrooms. The large kitchen with stainless appliances, granite tops, and loads of cabinet space, houses the laundry area and a full bath, and circles around to the great room with wet bar, or walks out to the patio. The vaulted, bayed great room has a wood burning stove and also walks out to the patio. In fact, there are three ways to access the large, fenced yard with custom fire pit and plenty of room for gardening or play. Down the hallway are three bedrooms, including the master with wood burning fireplace and his & hers closets. There's also an attached two car garage.